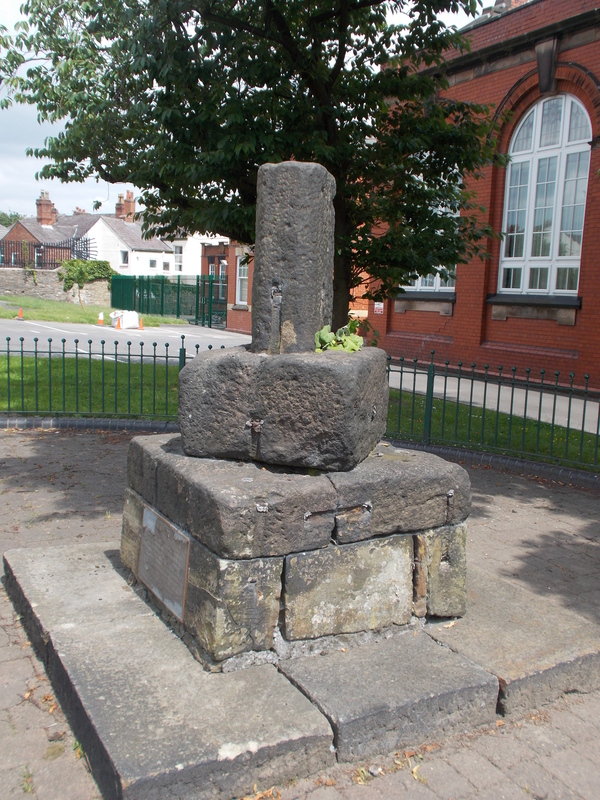 On Standishgate, one of the main approaches to Wigan town centre, is the remains of a medieval wayside cross. This was one of four crosses found along the medieval route from Wigan to Chorley. The cross dates from the 13th Century, the first written reference to it occurring in 1277. Today, the remains consist of a gritstone plinth with the stump attached. This is the original arrangement, as the English Heritage website tells us that both the plinth and base have leaded boreholes for steel clamps, which can still be seen today. The monument rests on a modern base. It’s original site was just across the other side of the road, by Mab’s Cross Hotel, which can still be seen today. 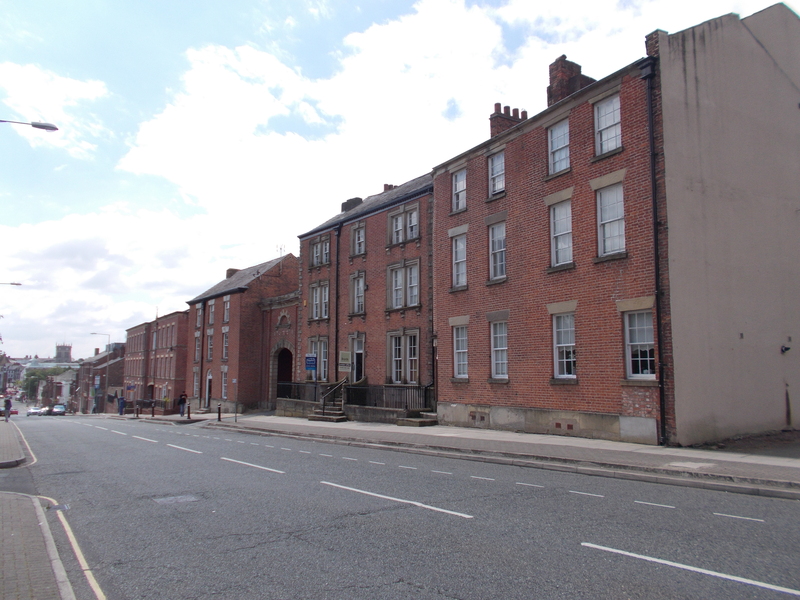 It was moved in 1921 to its present site in front of Mab’s Cross Primary School when the road was widened. The cross gets its name because of a legend associated with Lady Mabel Bradshaigh, wife of Sir William Bradshaigh of Haigh Hall. While these are two real historical characters from the 1300s, their history and legend have become intertwined so that the truth behind the story of how the cross got it’s name is hard to know. The legend is written down in 1647 manuscript detailing the Bradshaigh family tree. The story is that Sir William was long absent abroad in a war. Lady Mabel, thinking he is dead, marries a Welsh Knight. Sir William returns dressed as a pilgrim to Haigh, and when Lady Mabel sees him she becomes upset, because he reminds her of her presumed dead husband. The Welsh Knight flees but near Newton Park Sir William catches and kills him. As a penance for her bigamy, Lady Mabel walks once a week ‘barefoot and bare legged’ from Haigh to a cross near Wigan, which eventually is named after her. has been embellished, so that it’s stated the Sir William was a crusader, even though he could not be because the crusades were over when he was alive. John Roby in 1829 published his very popular study of English folklore ‘The Traditions of Lancashire’ in which he told and embellished the story of Lady Mab. In Roby’s version he uses other well know folk motifs such as the husband being held prisoner abroad, and producing a ring to prove who he was. Roby’s books are still in print today and can be found in many cut price bookstores. Sir Walter Scott also knew the legend and used it as part of the plot in his novel ‘The Bethrothed’. Scott discusses the Lancashire legend and other ones similar to it in the introduction to his story. 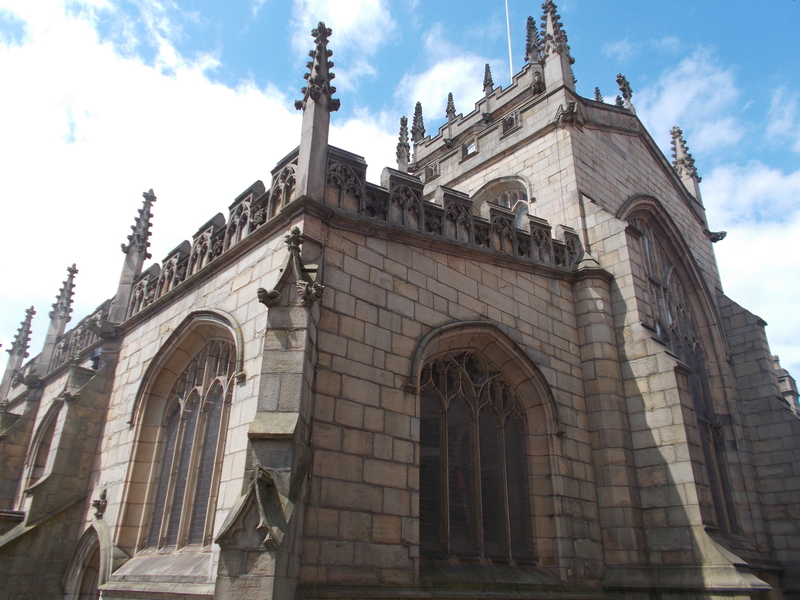 In 1338 Lady Mabel founded a chantry chapel in the parish church in the centre of Wigan, so that regular prayers could be said by a priest for her dead relatives. For 200 years this was carried out, until all chantry chapels were destroyed in the Protestant reformation. The figures of Lady Mabel and Sir William lay in the church until Victorian times, when they were replaced with modern ones as they had become so badly damaged over the years. You can see these if you visit All Saints Parish Church today and there are information boards giving details of the legend and history of Lady Mabel and her cross next to them. Mab’s Cross in Standishgate is free to view at any time. All Saints Parish Church in Wigan town centre is open for visitors every Saturday from May to September. It has a wealth of history inside and helpful staff and guide books. Parking: Park in any of the town centre car parks and head downhill towards Standishgate. The cross is outside of Mab’s Cross Primary School in a small fenced area.